Ask yourself: What is the best way to show up and make your voice heard? Where can you make the biggest impact? What issues need you the most? How much time and energy do you have to donate? Use your skills: The outdoor community is rich with talent and the fight for public lands needs everyone: graphic designers, photographers, public speakers, athletes and event planners, as well as grassroots lobbyists and volunteers bringing sandwiches to people working overtime at nonprofits. 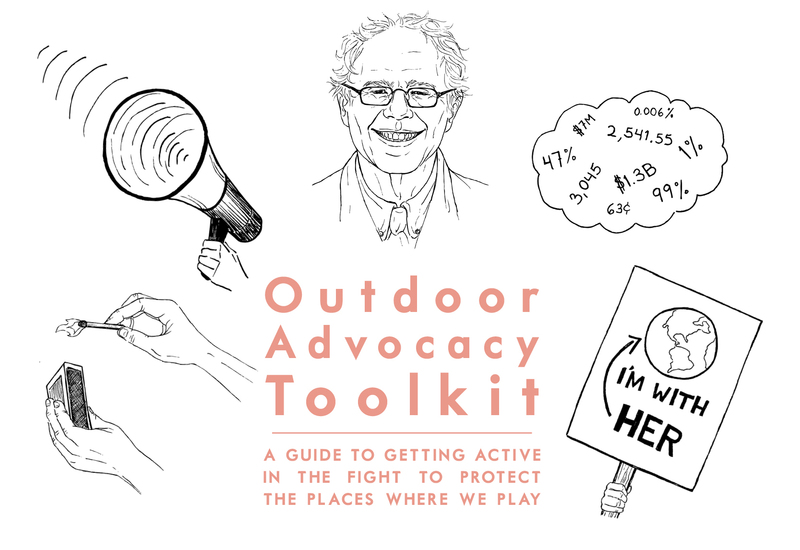 There’s no cookie cutter way to participate in outdoor advocacy–make it your own. Get to know your reps: Find out who your representatives in Congress are at whoismyrepresentative.com. Follow them on social media, add their phone number to your speed dial, and send snail mail to their office. Reach out often to challenge them on hard issues and to show your support when they get it right. Gather your resources: Information is your ammunition in the fight for the outdoors, so arm yourself heavily. Tools like OIA’s Outdoor Recreation Economy reports will help back up your efforts to protect public lands with hard facts. Learn the numbers, memorize the statistics, get informed. Hit the ground: Take your activism out into the real world. Get involved locally by participating in marches, rallies, sign-making parties and fundraiser events. Attending Outdoor Retailer? We’ll see you at the Public Lands March, starting in the South Plaza of the Salt Palace Convention Center at 4:30 p.m. on July 27. Participating in advocacy is the responsibility of every outdoor enthusiast the moment their boots hit the trail. You have a duty to protect the wild places you recreate in and the movement needs you. Your experience as an activist is all your own, just get involved. This article was originally published in RANGE Magazine Issue Seven.